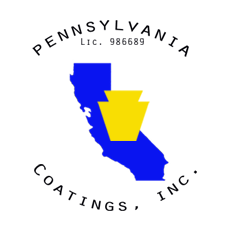 Chris has been president of Pennsylvania Coatings, founded the company in 2006 with his wife Jennifer, and has been licensed with a C-33 California license since 2007 and an A California license since 2018. Chris has 25 years of experience in paint and construction, working for paint manufacturers and selling paint on both coasts of the United States including Duron Paints (Beltsville, MD) and Frazee Paint (San Diego, CA), as well as painting, and operating as a contractor. 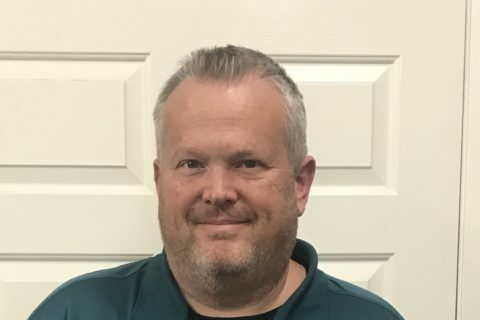 Chris has extensive experience in many types of commercial, architectural, decorative and industrial coatings and finishes, from his years working for paint manufacturers as well as building and leading the project management team at Pennsylvania Coatings. His diverse experience with a variety of coatings applied in different construction conditions is virtually unrivalled in the industry. In addition, Chris has taught, applied, and even created faux and decorative painting techniques as needed, as well as applied wallcovering. Chris studied Political Science at American University in Washington DC, but found his professional calling in collaborating with others and providing quality and beautiful finishes in the construction industry. His personal calling is to personally reach high school students who need to know about Jesus, and be a mentor they can look up to and from which they can learn about life. Chris has worked in youth ministry since 2011 serving with Younglife and Centerpoint Church (Murrieta, CA) and has spoken and shared the Word of God in front of thousands of students. Chris and Jennifer contribute extensively to Centerpoint Church and other ministries. Chris is the proud dad of his 4 year old son Robbie.